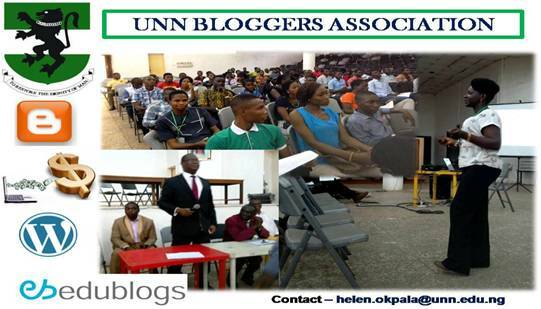 The University of Nigeria Nsukka Bloggers Association invites ALL staff and students who are interested in blogging for personaland institutional global visibility, to kindly fill the online form below, to be eligible to join the association. Submissions are welcome from Blogging newbies and experts, until the end of February, 2018. This is to enable immediate online and offline outreach/workshops. Fresh students (including Postgraduates) are HIGHLY encouraged to fill the form. Note that ALL Faculty ICT Reps are recommended to participate. There are lots to learn about blogging than what you already know!